Kanye West has deleted his Twitter and Instragram accounts. Visitors who go to either site get a message that the page is not available. No explanation as to why the rapper has deleted these accounts has been given by the star. This comes after he was absent from the Met gala. After West was hospitalized late last year, he took a timeout from the limelight. The source went on to say that the singer is taking time to spend with his family. 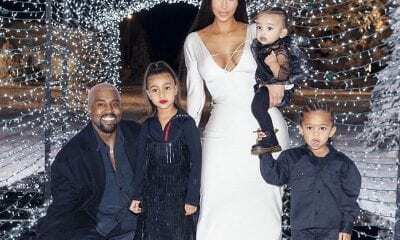 Wife, Kim Kardashian West and children, North and Saint. The timing of the break from social media is curious as the pair recently launched a new clothing line for children, The Kids Supply. The establishment is located in Calabasas, California. The rap star could not be reached for a comment or explanation of his actions with the social media channels.